After a pretty good drought the last week or so, it looks like the weather pattern is finally changing to get the Pacific Northwest & the Rockies back into some new snow. Low pressure center developing over British Columbia on Sunday, December 1st, will favor the Washington Cascades and northern Idaho & Montana initially. 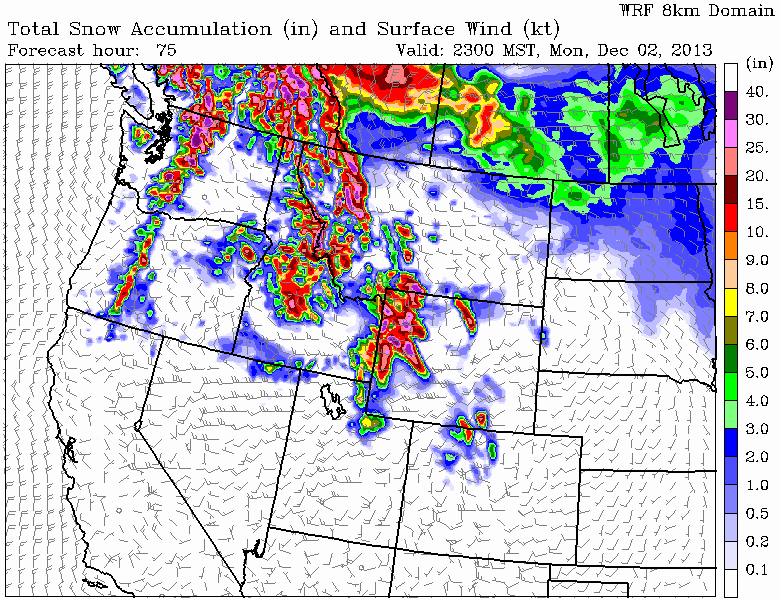 But some snow will fall in the mountains of SW Montana and western Wyoming. 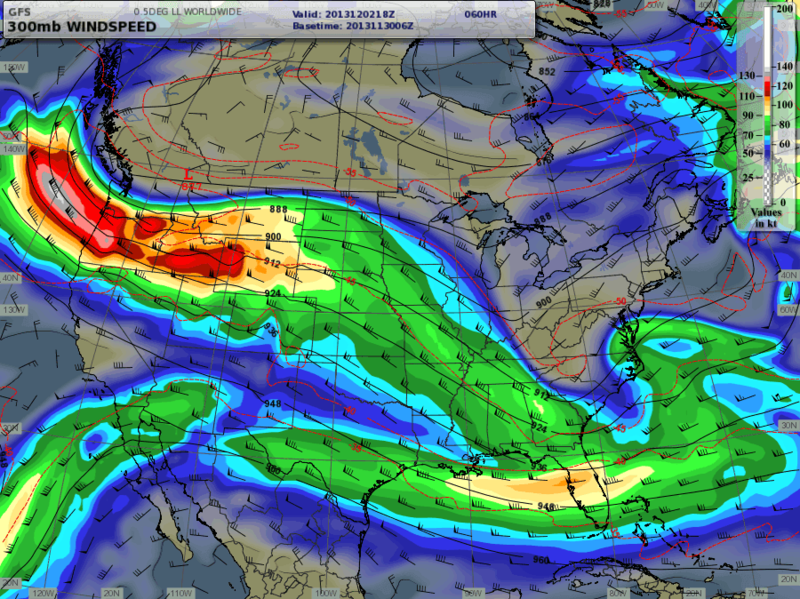 The jet stream position is a little too far north to bring the best energy further south until Sunday night and Monday, when it drives right over western Wyoming and favors Jackson Hole & the Tetons. Low pressure center over BC moves east along the Canadian border and puts the Teton Mountains under a strong Westerly flow on Monday, finishing up on Tuesday with a colder Northwesterly flow and lighter winds and lighter snowfall. Snowfall amounts should be rather impressive, especially in the Washington Cascades when you include snow accumulations this weekend and through Monday evening. Around 2 feet of new snow should be expected at around the 9,000-ft. elevation, more at higher elevations and in some favored locations. (See snowfall forecast maps below). Then on Tuesday & Wednesday the focus will shift over the northern & central Colorado Rockies. Models are showing impressive water amounts also, with 4 to 5 inches of water forecast through Monday night for the Cascades, and 2 to 3 inches of water content for the Tetons. It will be interesting to follow this storm and see how much we get. 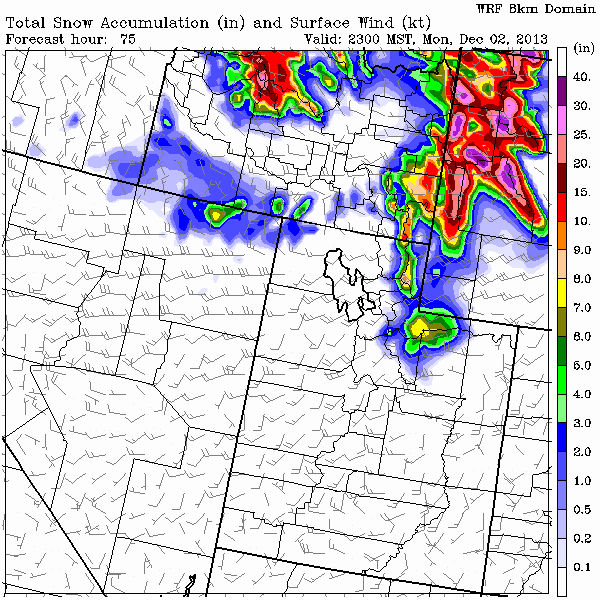 Certainly enough to make some good powder skiing again, and certainly enough to up the ante on the avalanche danger this week....especially combining the amount of wind, water, and snow. Word of Caution: Be careful how you manage your enthusiasm for powder with the impending hazard in the backcountry!